Zelman Law is a Tallahassee criminal defense law office devoted to providing the highest quality of advice and representation in the areas of criminal defense, DUI, and other criminal matters. The focus at Zelman Law is centered around protecting the rights of individuals, whether they have been accused of a crime or wrongfully involved in one. When you need an Tallahassee criminal defense attorney to help you through difficult times, Zelman Law is here to stand up for you and give you a voice in the legal process. Joshua Zelman, the founder and principal attorney at Zelman Law, has over ten years experience in the practice of law. During that time, he has earned an AV rating from renowned legal publisher Martindale-Hubbell, reflecting achievement of the highest levels in legal ability, ethics and professionalism, as judged by his peers. He has also earned Superb 10.0 ratings in Tallahassee Criminal Defense and DUI from the popular Avvo legal directory. Joshua Zelman’s legal knowledge and ability, combined with his strong work ethic and commitment to excellence, ensures that Zelman Law delivers an extraordinarily high quality of representation to every client in every case. Zelman Law is pleased to provide the following answers to frequently asked questions in the areas of Florida criminal defense and DUI. If you have other questions or need advice and representation in a particular legal matter, contact our office to speak with an experienced Tallahassee attorney who is eager to help you. A. Criminal offenses are classified as felonies or misdemeanors based upon the severity of punishments which can be inflicted on a convicted offender. A second degree misdemeanor is punishable by up to sixty days in the county jail and a fine of up to $500. A first degree misdemeanor is punishable by up to one year in jail and a $1,000 fine. Felonies are punishable by imprisonment in state prison for a year or more, or by death for capital offenses. There are three different degrees of felonies with different minimum and maximum terms of imprisonment, as well as capital felonies and life felonies. Q. The police pulled me over and asked me to open the trunk of my car. Why would they do that? Do I have to open it for them? A. Any time the police have an opportunity to conduct a search that may turn up evidence of a crime, they will take it. The police are required in most instances to have probable cause to conduct a search, and in many cases they need a warrant. However, they may simply ask for your permission to search, assuming you will agree out of fear or intimidation, because you think you don’t have anything to hide, or because you do not know you can legally refuse. If the police are ordering you to open your trunk or telling you they can search an area, you should not resist them. But if they are asking your permission or consent to conduct a search, it is nearly always in your best interest to politely refuse. Q. I haven’t been arrested for anything, but the police want to talk to me about something. What should I do? A. As with searches above, police questioning is only done for one reason, to turn up evidence that can be used against you. Law enforcement officials are expertly trained in getting you to make incriminating or contradictory statements which they can use against you in court, or to pressure you into making a statement, signing a confession or pleading guilty to some offense. Whenever the police want to question you for any reason, the wisest approach is to firmly state your desire to speak with an attorney first. In Tallahassee, contact Zelman Law for a free, confidential consultation. A. As a condition of obtaining a driver’s license, you have given your implied consent to submit to an approved breath test of your blood alcohol concentration or a urine test for drugs when pulled over by the police. If you refuse to take the test when required, your driver’s license will be suspended for one year, if this is your first refusal. In addition, your refusal will be used as evidence against you in court. Q. What is the legal limit for DUI? A. 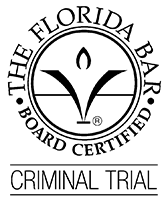 The legal threshold for DUI in Florida is having a .08% blood alcohol concentration (BAC), or .02% for a person under 21 years old. You can be arrested for DUI with a .08% BAC even if there is no other evidence that your driving was impaired, assuming that police had reason to stop and test you in the first place. Even if your BAC is below the legal limit, it is still possible to be arrested for reckless driving or another charge if the police have other evidence that your driving was impaired, such as if you were weaving or drifting out of your lane or ignoring traffic signals. Q. Does DUI apply to any intoxicated or impaired driving? A. The charge of Driving Under the Influence can apply to driving while under the influence of alcohol or a chemical substance or controlled substance. Q. Is DUI a felony or a misdemeanor? A. DUI is generally charged as a misdemeanor, even if a person driving causes personal injury or property damage while driving under the influence. However, if a person causes serious bodily injury while driving under the influence, he or she can be charged with a third degree felony DUI. Having a third DUI conviction within ten years or any fourth or more DUI is also a third degree felony. A person can also be charged with a second degree felony such as DUI manslaughter or vehicular homicide if a death is caused while driving, or a first degree felony if the person is also guilty of leaving the scene. Any DUI arrest should be taken very seriously, as even a misdemeanor conviction can have long-lasting and far-reaching negative consequences. Zelman Law is here to serve you. Our office is open daily from 8:00 a.m. to 5:00 p.m., with weekend or evening meetings available by appointment. Call 850-765-5948 to speak directly to Mr. Zelman, or contact us online to schedule a consultation with an experienced Tallahassee criminal defense attorney who works hard and gets results. Attorney Josh Zelman has been practicing law for more than ten years. 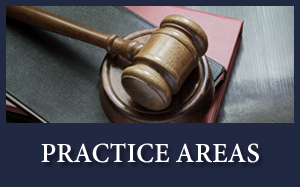 The majority of his practice has been dedicated to protecting the rights of those facing criminal charges, those who have been injured due to other people's negligence, and people involved in family law litigation.